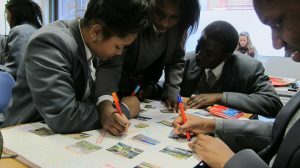 One of the ‘cross-pollination’ projects in Scaling Up Co-Design brought together media and design to empower new co-design ambassadors and help young people in Elephant and Castle to explore their relationship with their environment and share ideas for the future of their place. 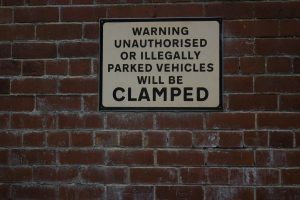 With a shared investment in supporting people to express their views and ideas creatively, The Glass-House and Silent Cities (a Sheffield-based social enterprise) co-designed a series of activities that would complement and enhance our existing programmes. 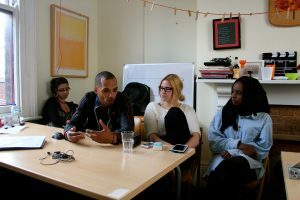 As part of Silent Cities’ programme, which provided community journalism skills and a creative environment where silent voices could flourish, The Glass-House ran a workshop to get participants thinking about the ways in which our places include and exclude different people and voices. The workshop included a discussion with George Perfect, a member of the Bespoken network, who talked about his experience of navigating place with a disability. Participants were asked to walk around the local area, capturing instances of inclusion and exclusion, through photography, film and audio capture. 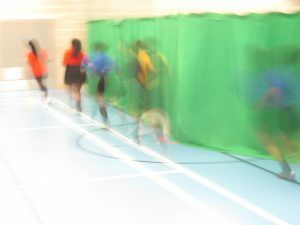 The Glass-House was already working with the Citizenship Foundation on the Make it our Neighbourhood programme which was developing new ways to connect developers with local young people in their projects. 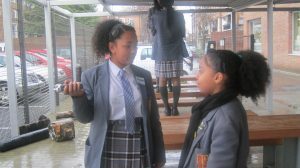 Working with developer Lend Lease, we were supporting young people (aged 14-15 years) from Sacred Heart Catholic School to build knowledge and skills of regeneration and design, related to their locality – Elephant and Castle. Two participants from the Silent Cities’ Community Journalists were invited to join the Silent Cities/Glass-House team to develop and facilitate a workshop with young people that would give them new media skills and help them to develop creative outputs on their views of place. 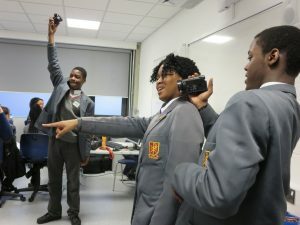 Young people were trained to use photography, film and audio recording equipment and software, and then produced creative expressions of their views on their school environment using these media, which they presented to us, their fellow students, teachers and staff from Lend Lease. As part of the research process, we developed a resource book for students to capture their reflections, experience and learning throughout the day. 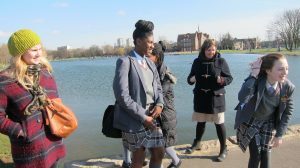 Drawing on their new experience, the students later took part in a design training workshop where they captured inspiration on a study tour of local open spaces and developed ideas for a new open space to be developed on the site of the Heygate estate in Elephant and Castle. 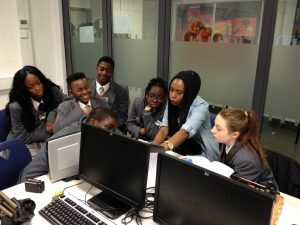 The students who took part in this collaboration were offered a unique experience that combined raising awareness and confidence about their relationship with place with specialist training in the production of media. In a short time, the students produced high quality creative outputs, using them to express their views on their school environment with clear and powerful messages. At the same time, this workshop offered the newly trained Community Journalists the opportunity to step quickly from the role of student to teacher, and to use their new skills to empower the young people to express themselves differently. For Lend Lease, the collaboration offered a new model for collaboration as opposed to straight commissioning, and demonstrated that such research and innovation can help bring mutual benefit to their organisation and to the communities with which they engage in development. This collaboration also provided an important innovation space for The Glass-House, and we have since done other projects that specifically explore how to use skills development and empowerment in placemaking to help build capacity and enhance employability for young people.